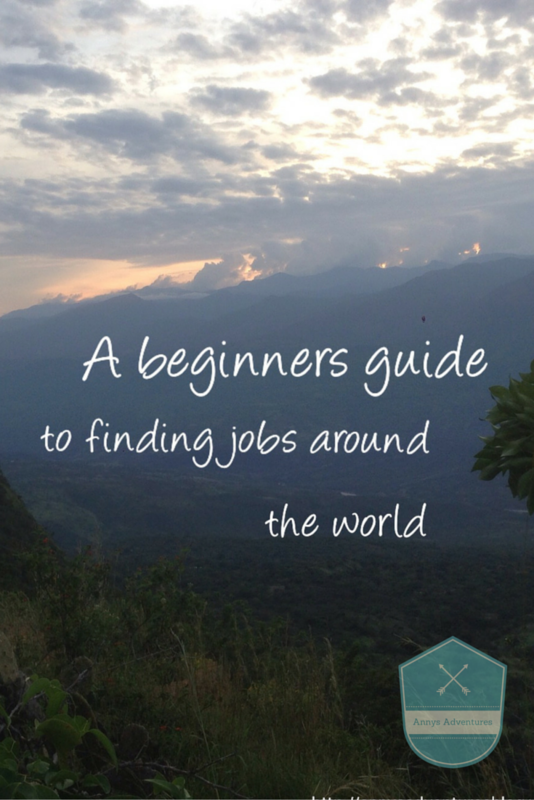 The most popular question people ask me is how I find jobs around the world so easily, so I decided to write this post to help show everyone how easy it is to find jobs abroad and without putting up capital upfront. There are many different way in which you can travel and work, in this post I am going to identify a number of jobs and ways you can do them whilst travelling, these are by no means the only jobs available, there are lots more available. The key to getting a job abroad is knowing where to start, many people are put off my working abroad as they think it is a very expensive thing to do, this can be incorrect in some cases, i will also identify if the job has costs involved. Seasons – A season job can be done in a resort either in the summer (Greece, Italy, France, BVI, Turkey) or in the winter (Alps, Switzerland, USA) Summer season jobs (April – November) involve activity holidays around the globe, usually with half board guests, the resorts are fully run by English staff and there are a large number of jobs on offer. Winter season jobs (November – April) involve snow skiing or snowboarding holidays, usually with jobs in chalets, the chalets are fully run by English Staff and there are a large number of different jobs on offer. An example of summer season jobs are; waitress, chef, spa therapist, sailing instructor, water ski instructor, nanny, lifeguard, bike instructor, tennis instructor, swimming instructor and hotel management. 2. Summer Camps – A summer camp job is a beneficial way of travelling to America (usually remote areas), children’s camp run for 7 to 9weeks during the summer months (June – August) Summer camps employ people from all over the world doing a large variety of jobs. Although a company is a good way of gaining a job hassle free, companies will charge you a premium for the service. 3. Superyacht work – Many super yachts hire a number of employees for a variety of jobs on the boat, super yacht work can be done any season Mediterranean (May – October) Caribbean (November – May) There are a large number of super yachts needing employees and is a high turnover job. 4. Cruise Ship Jobs – Cruise ship companies hire a large number of employees in a variety of job roles, usually for periods of 4 to 6 months at a time. Jobs are available all year round and destinations vary depending on the ship and route they take but they travel all over the world. 5. Teaching English – Native English residences can apply to various companies in a whole range of non English speaking countries, some companies will make you pay to take their qualifications to help you obtain jobs, others will provide you with accommodation, visas and flights. The most popular countries which have a large number of teaching jobs available are; Thailand, China, Japan, Vietnam, Colombia, Brazil, Chile, Argentina, Bolivia and other Asia countries, Although this is true this is only part of the list of countries which teaching English is available. English teaching jobs can be a good way to travel, as you get to submerge yourself into another culture quickly, many companies offer you a lot of benefits and as a teacher you get time off in holidays, weekends to go and explore different places. 6.Tour Guides – Tour Guiding is a fantastic job to do to meet new people and travel to a large number of places whilst getting paid. You can become a tour guide for a specific city or place or there are a number of companies who have coach tour around different places which would mean travelling to a new place every few days. Each city has its own tourism and sightseeing experiences, to become a city guide you need to have a lot of knowledge and experience within that city. Tour guide jobs are a good way of interacting with people, learn new things and spend time in travelling in different countries for free. 7. Volunteer Abroad – Many countries offer people the opportunity to conduct voluntary work, such as building new schools, hospitals, houses, teaching English, help with running hostels, help building hostels and many more. These jobs are usually unpaid but still offer some kind of incentive, such as meals, accommodation in exchange for work. Which can be a good way of travelling without it costing you a lot of money. There are many more travel jobs out there and available, this is just the start but hopefully it will inspire you and show you how easy it can be to gain a job abroad, you never know you may be able to make a living out of some of these jobs. Hi there Anny, great article. I was wondering if you had any advice on FRUIT or VEGETABLE PICKING jobs? How to find them? Anywhere in europe. Hi, thank you for your kind words. I haven’t had any experience with fruit or vegetable picking but after a google search I found a few article with links to job sites which may provide some help for you -http://www.vergemagazine.com/program-search/work-abroad/picking-jobs-seasonal-fruit-picking-jobs.html , http://www.pickingjobs.com , http://www.oneworld365.org/activity/farm-work , Sorry I can’t be of more help. Good luck with your job search and let me know how it goes, would be happy to hear about it. I would like to work abroad, but since English is not my first language, it is a little more difficult. Great article and add Tour Directors to the list (it’s what I do for a living! )…most people think of everyone in this category as tour guides but they are two different positions. Tour guides works locally or regionally and do not travel with the tour group…whereas Tour Directors travel with the tour group nationally or internationally…all over the world. Most are certified or have degrees and it’s an amazing career. In most countries outside North America they do 2 or 4 year tourism programs through the country but in North America they usually get certified at a reputable school, look at ITMI who does trainings across the U.S.They have the best reputation and that is why I chose them. Working on a yacht sounds very exciting. The details on seasonal jobs and summer are very helpful and informative. I have a rough idea about volunteering abroad; came across this concept on a platform called Hippohelp. Do you have any clue about it?